Contact Mary Bennett if you’d like to connect and engage. Mary’s email. Current initiatives include: coordinating social dinners, encouraging covenant group development, promoting groups such as men’s and women’s groups. On occasion a leadership mentorship program is offered pairing new members with experienced members. Here are some of the ways the Connect & Engage team can help you to… well, connect and engage. The Connect and Engage team assist members after they join until they have been part of the community for five years. There are many activities listed on the calendar that can help people connect in small groups. Ucvevents—Only receive weekly emails with order of service and announcements and UCV Events monthly. This has nearly 500 people on it. 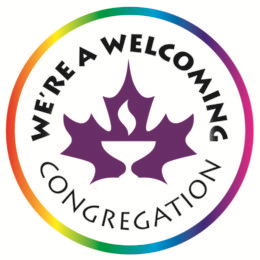 vancouverunitarians@googlegroups.com—This is our “chat group”. 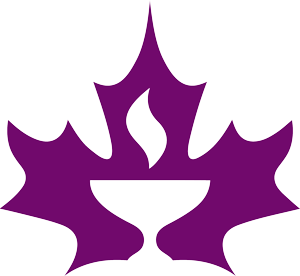 About 100 Unitarians post events and information that they’re interested in and that they think others will be as well. There are three moderators who step in should there be an “eruption”. Open to members and adherents. Arts and Culture—A group of about 25 members often post when they’re going to a theatre, film or art show event and invite others to meet them there. You’ll get reviews and updates—and a topic for conversation on Sunday morning. Open to all. Neighbourhood Groups — there are several neighbourhood group email lists. One for people in Kits/West Point Grey and one for Richmond/Delta/South Surrey/White Rock. open to members and adherents in those neighbourhoods. We can help members in your neighbourhood set up and advertise a group if you’re interested. We anticipate that each neighbourhood email group will have 25-40 people on it and events will likely be 8-12 people. Social dinners — Hygge dinners (potluck dinners either at church or in members’ homes) are usually scheduled at least monthly. There is also a monthly social dinner in a restaurant and Messy Church + Make Dinner – family-focused/ open to all. Receive a directory of members and adherents i(members only) Purchase for cost at UCV office. Ready to volunteer? If you’d like to meet to discuss opportunities, let me know. Interested in small groups—covenant groups, neighbourhood groups, men’s and women’s groups etc. Even though some are closed groups, you can express your interest so we let you know when a new group forms. Please send a note to Mary and indicate your interests and time availability. Interests – there’s so much that goes on, some indication of your interests will help us get you connected. Time availability – if there are times when you prefer (or not) to volunteer, it’ll help to know that. There are even opportunities by remote—i.e. email and web.